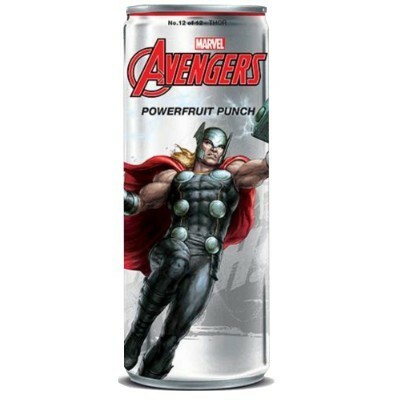 Defending the universe is bound to work up a thirst, so why not quench it the Marvel way with Avenger Powerfruit Punch Soda, Thor edition? Show your love for everyone’s favorite golden-haired, hot headed superhero when you open up a can of this delicious fruit punch-flavored carbonated soda. Collect the entire Avengers set to establish yourself as a true Marvel fan!